Yesterday was our big day at Chick-fil-A (CFA), Lancaster, PA. If you read my last blog post or have been following us on Facebook you know that amazingly we were chosen by CFA as the recipients of their second birthday give-back celebration. This meant that for every original, deluxe, or spicy chicken sandwich sold between the hours of 11am-7pm, CFA, Lancaster, PA would donate $1 to our Jody Needs Lungs transplant fund. In addition they offered us their spinning wheel where people could donate $1 directly to Jody Needs Lungs for a chance to spin the wheel and win coupons for free food on their next visit to CFA. After about two weeks of promoting the event, both CFA and us, the day finally arrived. We had 23 volunteers lined up to cover eight hours of handing out thank-you flyers to all customers and also to man the spinning wheel (if you were on of those volunteers we owe you a BIG thanks!). The morning started with radio station FM 90.3 WJTL on site with their infamous Kid’s Cookie Break program from 9am-12pm. If you were tuned in you would have heard Jody and Jamie (our fundraising team leader) speaking on the radio a little after 11am. It felt a little surreal to hear our story being told on the radio and handed out to every customer at CFA. Jody and I were not present all day long but we were told that the dining room was packed much of the day. We were touched by all the people who came out to support us, even people we didn’t know, but who knew about us. At the end of the night, 1550 sandwiches were sold, and $927 were raised on the wheel. We also received a few direct donations, bringing the combined total raised throughout the day to $2727! 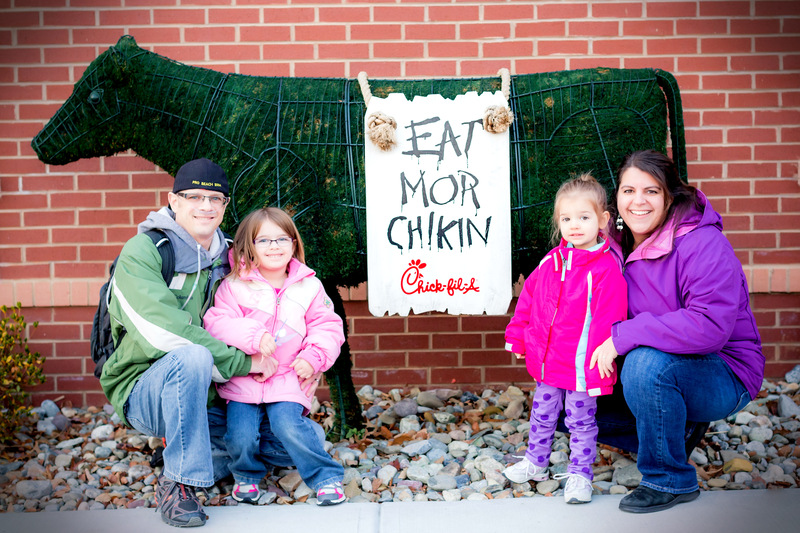 Again we want to say thank-you to Chick-fil-A, Lancaster, PA for partnering with us, and for generously giving-back. Thank you to all the employees who worked hard that day to keep the hungry mouths fed, and for doing it with a smile. Thank you to our volunteers for giving up your precious time on our behalf, and especially to those who served outside in the cold. Thanks to the many of you who shared this event, and to our friend Jamie for coordinating the day. Lastly, thank you to everyone who came out, bought a sandwich, and took a spin on the wheel. We felt the love and support yesterday and are one step closer to being financially ready when we get the call for Jody’s new lungs! Below are some pictures of the day for you to enjoy (click each photo to see them enlarged & to make comments). And don’t forget to show your appreciation to Chick-fil-A, Lancaster by “Liking” their Facebook page. Chick-fil-A, Lancaster PA website image. The spinning wheel was an awesome way for my kids to participate and donate as well…sorry we missed you but we were so happy to be there supporting you guys!! WOW! Amazing how God provides! I never get tired of seeing and hearing about how He uses those around us to reveal His plan for our lives. You have many people praying for your family. Rest and let us all surround you with prayers and gifts…someday you will bless someone else’s life because of this experience. Rejoicing with you…God is good all the time-all the time God is good!